Friends are a funny. I mean, sure, they make us laugh and all. But really, it's more than that. They come in—and out—of our lives when we least expect it. And let's face it, the good ones will do some pretty crazy things for us. My friends help me remember. My friend Sharon and I used to share an office together. Throughout my pregnancy she took it upon herself to make sure I ate well and drank enough water. After I had Hudson, she reminded me every time I needed to pump and even let me do it in our office (though I suspect that closing the blinds and locking the door was as much for her as it was for me.) In the new office, another friend reminds me to go to the bathroom. Reluctantly, and subtly, but still. I've always been amazed by the lifers. People, particularly girls, that have an unbreakable bond with the same group of friends they've had forever. I've never really been one of those people. My friends are more like wishies. You know, the puffy white balls that used to be dandelions? 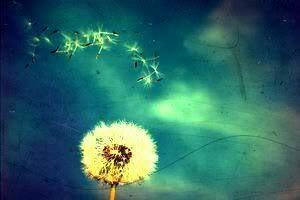 The ones we pick up, marvel at, and then blow on and set free in hopes that our wish will come true? My friend Maryanne and I lived near each other in Queens for years. We rode the same subways, worked in the same industry. We even moved to Vermont the same year. The funny part was finding all of this out, since we didn't actually meet until we got here and ended up working at the same company. She lives around the block again and whenever work, travel and ordinary life don't get in our way, we get to hang out and talk about the old days we never shared. The occasional text from my old friend Amie in Colorado reminds of the woman who gave me the courage to listen to my soul. And a quick beer on a school night with my new friend Alison reminds me that there are cool people yet to meet in the world, and somehow, magically they find me. LOVE - keep writing; I drink it with coffee and sometimes wine!